Red peppers which are past their best for salads and eating raw are great for this soup. 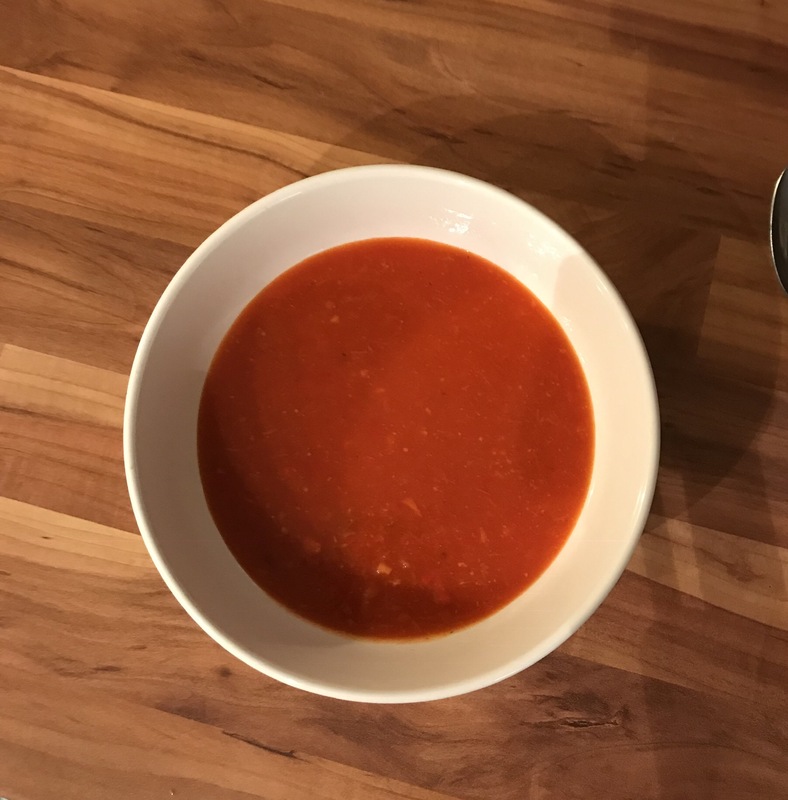 I used peppers that were wrinkled and a bit soft but as a result were so sweet, tender and packed with flavour I would actually allow peppers to deteriorate in the future before making this soup. In a large saucepan (or pressure cooker) heat the oil then add the chopped onions and stir well, leaving then to cook for 5-10 minutes until softening but not colouring. Add then the bacon lardons and leave to fry until the bacon is just starting to colour but not to crispy. Add the chopped garlic coves. Cut the core and seeds from the peppers and cut into rough chunks and add then to the pan. Give a good stir then add the stock, bay leaf, vinegar, tomatoes and paprika. Increase the heat and once simmering, cover and cook for 45 minutes (or 15 minutes in the pressure cooker). I use a stick blender then to liquidise the soup. Taste and check the seasoning then admire the colour, taste and beauty of this soup. Serve with a swirl of double cream.